If you’ve got sensitive eyes, you’ll know what a nightmare it can be getting your mascara off. Stinging, puffiness, itchy red eruptions that last for days – I’ve experienced it all at the hands of various eye makeup removers over the years. Even those that claim hypoallergenic ‘no tears’ formulations can trigger my sensitive little snowflake eyes, which weep well into the next afternoon at the slightest provocation. Laterally I resorted to using my creamy morning face wash (CeraVe Hydrating Cleanser, £9, if you’re wondering) and a flannel. Did it stop the tears? Yep. Did it also take five times as long as a swipe of a cotton pad and a product designed to dissolve layers of liner and mascara? 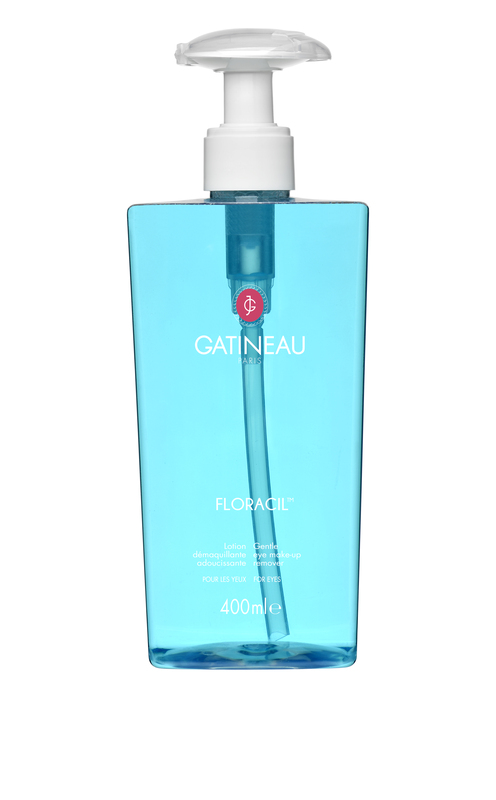 You bet it did, so you can imagine my delight when I word reached me that Gatineau are bringing back their much-loved Floracil Gentle Eye Make-up Remover. This super gentle cult buy was the top selling eye makeup remover on QVC before being discontinued and replaced with a new, although not necessarily improved Floracil Plus, causing fans to lash out on QVCuk.com. Wavogirl3 commented, ‘PLEASE, PLEASE, PLEASE bring back the old floracil’, while Evadne said ‘I do hope Gatineau reads reviews; the original Floracil was PERFECT. Good value, certainly, but above all else it removed eye makeup and left the eyes refreshed and comfortable’. I could go on (seriously there are 10+ pages of this) but suffice to say I felt their pain – Floracil v1 was had the same PH as tears, and was also oil-free, so left no filmy residue like so may I’ve tried and rejected since. Luckily for all us teary types, the people spoke and Gatineau listened. As of this week the original and best Floracil has relaunched on QVC. It contains all the good stuff from the first time around like soothing chamomile and cornflower, brightening algae extract with no added extras to upset the apple cart. It’s also worth pointing out that it comes in one of those extremely handy press top pumps that dispenses the perfect amount with no wastage. It’s not exactly cheap at £32, but that is for a whopping 400ml tube – and what price dry eyes?